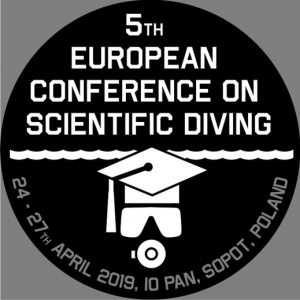 “ECSD5 2019” is the fifth “European Conference on Scientific Diving” organised by the IO PAN Scientific Diving TEAM, in Sopot, first time in Poland. Conferences of this series were originally initiated by the European Scientific Diving Panel in 2015 by combining “The Research in Shallow Marine and Fresh Water Systems" and “The International Symposium on Occupational Scientific Diving" into one general meeting held once a year. The intent of ECSD is to provide a large, international forum for presenting the latest research results carried out in Europe using diving. 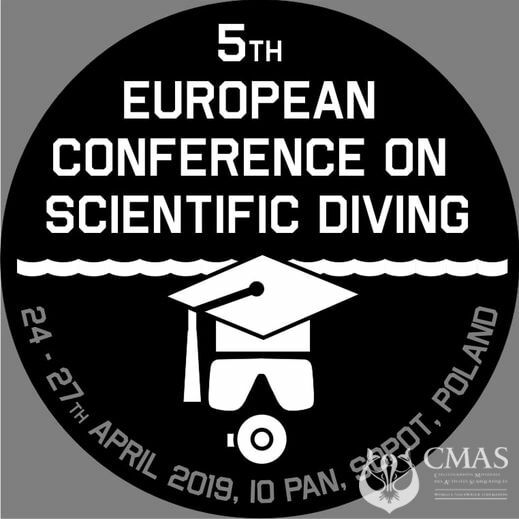 ECSD conferences each time attract European leaders in the field of scientific diving and Organizers wish to gather a broad group of international specialists as well as to consolidate the Polish scientific diving community. Therefore the colleagues from the CMAS Scientific Diving Center take advantage of the opportunity to meet there as well to use the convenient platform for exchanging experiences, establishing new contacts and future collaboration.